The primary issue computer users have to face most often is the memory and its shortage. Users are sometimes confused with memory vs. storage, and they also interchange these twos. Read on to discover computer storage fundamentals, ram vs. storage space and other amazing concepts of the sort. 1.1 What are Storage Devices? 1.3 How Do Computers Store Memory? 1.4.1 What is RAM in Mobile? 1.8.1 What is More Important RAM or Hard Drive Memory? RAM is the main memory of your computer. You can assume it as a workspace that your PC uses to get your jobs done. When you click on any file, write something and do any other computer operation, RAM stores the data. Hard disk drive and solid-state drives are other storage types where the data is stored. 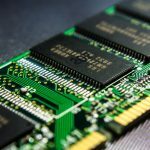 RAM is a volatile memory, i.e. whatever information it has will disappear when you turn your PC off. In contrast, the data written on the disk remains there as it is until the storage device fails or it’s erased. They are the computing hardware that store and extract data files. They tend to store and hold information permanently and temporarily. These devices are also referred to as the storage medium. They hold the data temporarily. Computers demand some nonvolatile storage where the data can be placed and stay even when the power is off. This way you will not need to do everything again and again. The storage in PC is in the form of drives. This can be either the HDD or the SSD. They provide much space to store documents, and other stuff. 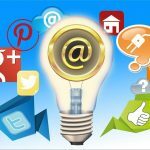 How Do Computers Store Memory? Computer memory is electronic storage. Without memory, the computer acts as a useless box with no functions. This is because it relies on memory to function. When you switch on your computer, it checks ROM and test f its error free or not. Afterward, it moves to the BIOS from ROM. Then it starts the Operating system. Next, it loads the OS in RAM. This is how it gets faster access to the OS. 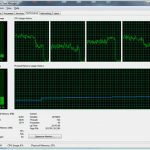 The CPU keeps accessing the RAM continuously. RAM is in the form of computer chips. These integrated circuits are either installed in the memory modules or are soldered on the main logic board. 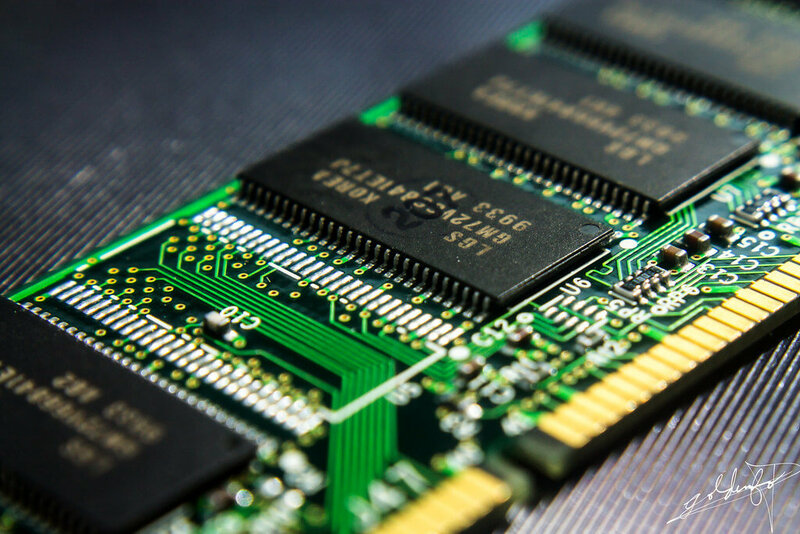 The full form of RAM is Random Access Memory. It is much fast as the data stored on the RAM can be retrieved at a fast pace. RAM refers to random access and not sequential access. The sequentially accessing data refers to the stuff that is written on the HDD. You can put more RAM in your PC if it’s upgradable. This helps it load and perform more tasks without slowing down. If you work with the extensive database, then it’s better to have more RAM as it has a direct impact on performance. What is RAM in Mobile? The RAM in mobile keeps the chunk of apps data as you lad the different apps. Additionally RAM allows you to do multitasking efficiently. If a phone has got more RAM, then it can perform multitasking quite brilliantly. It stores the OS data and the apps data that you desire to use for quick access. RAM is the primary storage while the other external media are the secondary storage devices. It is called primary storage media because the data on it can be accessed directly by the CPU. This high-speed storage medium offers minimal delay. This is because it is connected via the memory bus to the CPU. Due to this, the data can be accessed at a faster pace. Hard drives and other external storage media are referred to as the secondary storage because they aren’t connected directly to the central processing unit. They make use of I/O bus to send and receive data. Hard disk drives are the mechanical device to store data. They cant retrieve information at a faster rate like that of RAM. Thus they are slower than RAM. You might be thinking that if the HDDs are much slower then why we use them? The answer is that they are much cheap and are available quite easily. It is not important how much storage capacity you have in your PC. You will be able to do a fixed amount of work at a time depending upon the RAM you have got. Limited RAM is entirely worthless. Storage capacity is the disk space that storage devices offer. This refers to the amount of data that a computer can store. For example, a PC with 300 GB of the hard drive can store 300 GB data. Now the computer makers have started making SSD. The good news is that they have a faster pace as compared to HDD. They make use of an impressive circuitry known as NVRAM. Notably, the SSDs are faster than HDDs, but they are still slower than RAM. One reason for this can be the bottleneck the interface creates that connect storage device and the computer. ROM and hard drive are not the same things. ROM is the BIOS of PC. This memory segment has been burned with code that starts the CPU. On the contrary, hard drive refers to a storage system. It has platters on which the data is written. What is More Important RAM or Hard Drive Memory? For using computers for normal routine work like checking email, online surfing and playing games RAM plays a significant role. You might need to add more it if you use the apps that have a high memory requirement. On the other hand, another thing that has a great compact in your system performance is the storage. This is because it is essential to read and write information somewhere in the storage system too. This is where HDDs and the SSDs come into play. New disk technologies have made the drives much faster and bigger. It is essential to know the types of computer storage devices while working with computers. For this reason, you got to know great information on ram vs. storage in this article. By and large, they both perform a different role in the computer world. The first one is which loads the data during the processing, and the second one stores the information for a short or long term basis.